October 15, FUUK will live in Ebisu Tokyo batica. 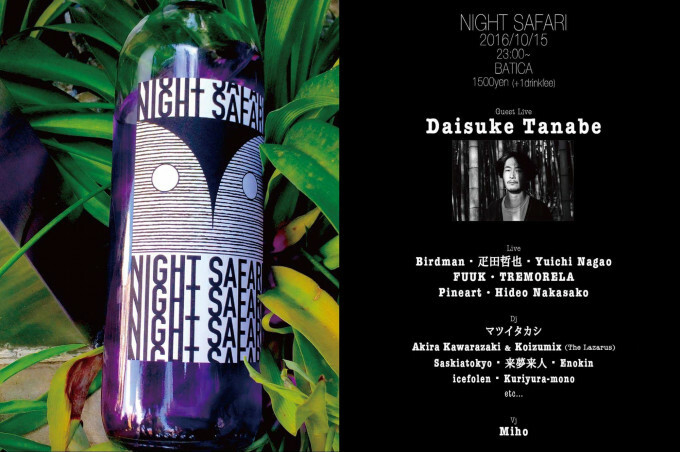 Guest will be the Daisuke Tanabe. Because there is also Night Safari crew, no doubt to be a night to enjoy.